As we grow old, our bodies and immune system becomes weak and we get prone to developing various health issues. In addition to the possibility of developing various diseases commonly associated with old age, such as dementia, diabetes, and cardiovascular diseases, increasing age also limits our mobility. Related infographic: Elderly and the world wide web. Joint pain and arthritis are common problems among the elderly. 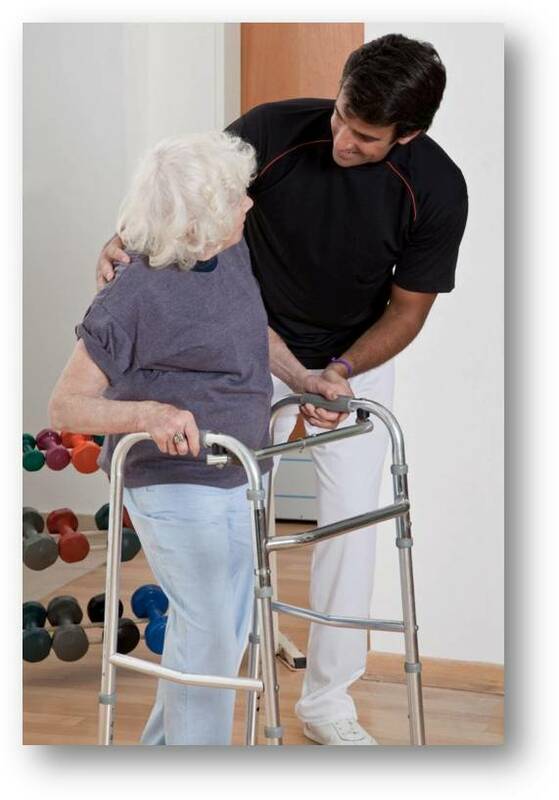 Even if people take good care of themselves and keep the diseases at bay, they do get affected by mobility issues as they age which affect the quality of their lives. Here comes the role of assistive technology. Commonly known as mobility aids, the sole purpose for the development of these tools is to enable the elderly to continue with their activities and regular lifestyle. With the help of assistive technology, seniors can avoid becoming dependent on their family members or nurses, and can perform their tasks on their own. What Comes Under Assistive Technology? Dr. Helen Hoenig, an Associate Professor at Duke University and Chief of Physical Medicine and Rehabilitation at Durham VAMC, assistive technology can be defined as “all those devices that are used to compensate for physical limitations”. According to her, the term can be narrowed down to refer to those devices, tools, orthotics, and prosthetics that are used to help someone carry out an activity. Seniors, when faced with limited mobility, become dependent on others for carrying out even the simplest of tasks of their daily lives, such as walking, eating, self-cleaning, and changing clothes. Many people fail to accept this new reality of life or do not like to ask for help in the simplest acts. In the absence of any solution, seniors become unhappy and even go into depression. On the other hand, dealing with older people with limited mobility is also a difficult and challenging task for their families. When family members are unable to take good care of such old people, they transfer them to nursing facilities or assisted living centers. Moving away from their loved ones is even more disturbing for a majority of seniors and makes them more unhappy and depressed. Mobility Aids can be of extreme help in such situations, both for the elderly and their families. They improve the mobility of the elderly and thus, enable them to perform their own tasks. Also, when seniors have such helpful devices, they do not give up on life and continue pursuing their interests. In this way, the increasing age does not affect the quality of their lives. With the use of any one or multiple of the above mentioned devices, the quality of life improves in old age. This may not be important to young and healthy people but for seniors, even the ability to continue living a normal life despite suffering from limited mobility is of great pleasure. If an old person with arthritis is able to visit his/her friends, to go to his/her favorite restaurant, or the nearest park, the pleasure he/she will get is beyond comparison.